Clean energy company Fortum, in cooperation with the City of Oslo and U.S. company Momentum Dynamics, is to build a wireless fast-charging infrastructure for taxis in the Norwegian capital. This project is based on induction technology. Charging plates will be installed in the ground where taxis are parked and a receiver will be installed in each taxi allowing for a charge of up to 75 kilowatts. 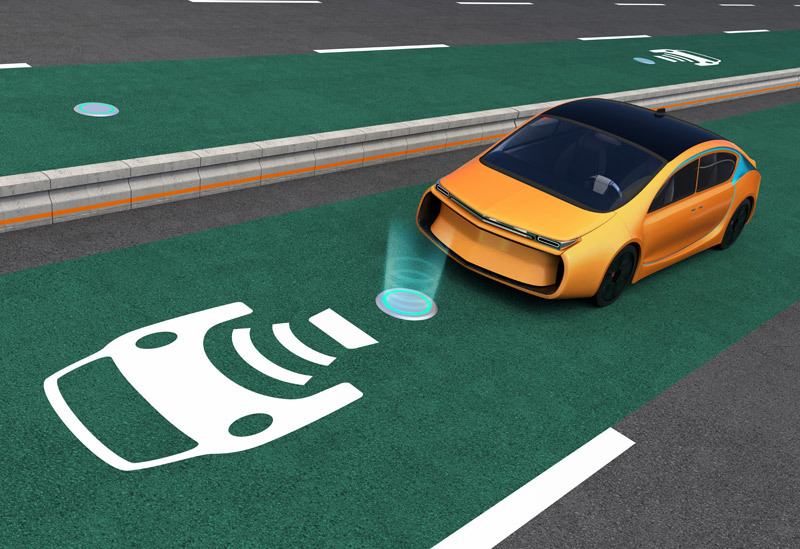 The project will be the first wireless fast-charging infrastructure for electric taxis anywhere in the world, and will help in the further development of wireless charging technology for all EV drivers. Fortum Charge & Drive has long been working with the taxi industry to enable electrification of the taxi fleet. The greatest hurdle has proved to be the infrastructure: it is too time consuming for taxi drivers to find a charger, plug in and then wait for the car to charge. The wireless fast-charging project aims to solve these issues and thereby reduce carbon emissions from the taxi sector – not only in Norway, but around the world. "We will install the wireless chargers at taxi stands, such as the one at the Oslo Central Station. Taxis will be able to drive up to the charger and a wireless charging session will automatically start," said Annika Hoffner, Head of Fortum Charge & Drive. "This allows the taxis to charge in a place where they would anyway be waiting for new customers. The difference is that they won't be emitting exhaust while waiting. Instead, they will be receiving renewable energy to charge the taxi's battery." "The future is electric, and it is already here, right now. Wireless charging is a potential game changer. From 2023 onward, all taxis in Oslo will be zero emission," said Sture Portvik, the City of Oslo's Electro Mobility Manager. "Together with the taxi industry we will make sure that the shift is as user friendly and efficient as possible. Oslo will always be at the front of innovation and we are delighted to join forces with two of the industry's most progressive players in this game-changing move to launch the world's most ambitious plan for wireless charging of a taxi fleet." "We believe this project will provide the world with the model it needs for keeping electric taxis in continuous 24/7 operation," said Andrew Daga, CEO of Momentum Dynamics. "It will build on the success we have demonstrated with electric buses, which also need to be automatically charged throughout the day in order to stay in operation. Momentum is very excited to be working with the people of Oslo and with our partner Fortum." "We are now welcoming automakers to join us in this exciting and innovative project," added Hoffner.